I would be interested to know more about these claims. 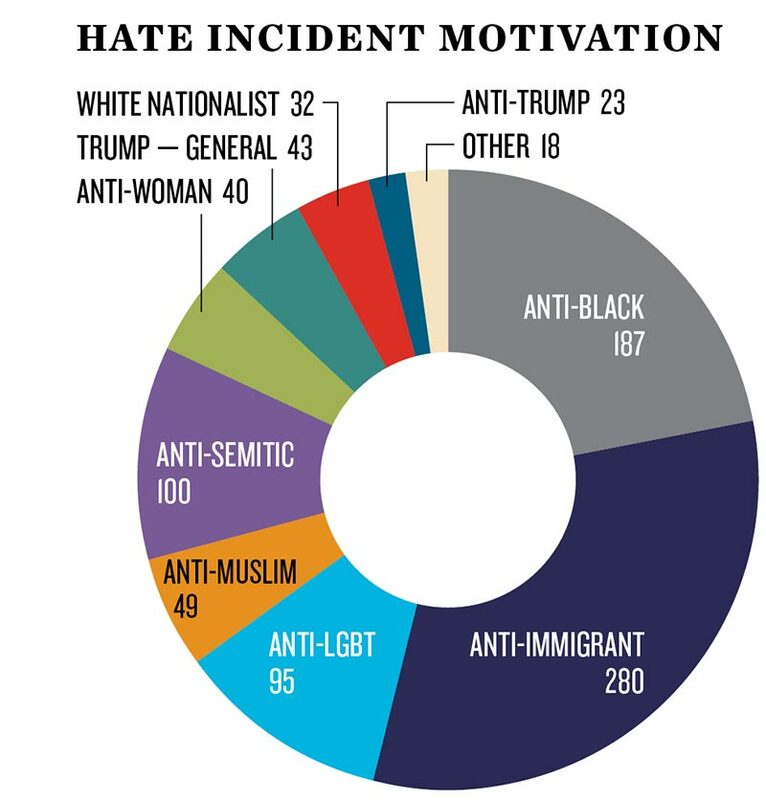 If accurate, it suggests that there might be more hate crimes directed against Trump supporters than perpetrated by them. The data that your are presenting don't necessarily indicate a trend that hate crimes increased after the election...since you only present data from *after* the election. 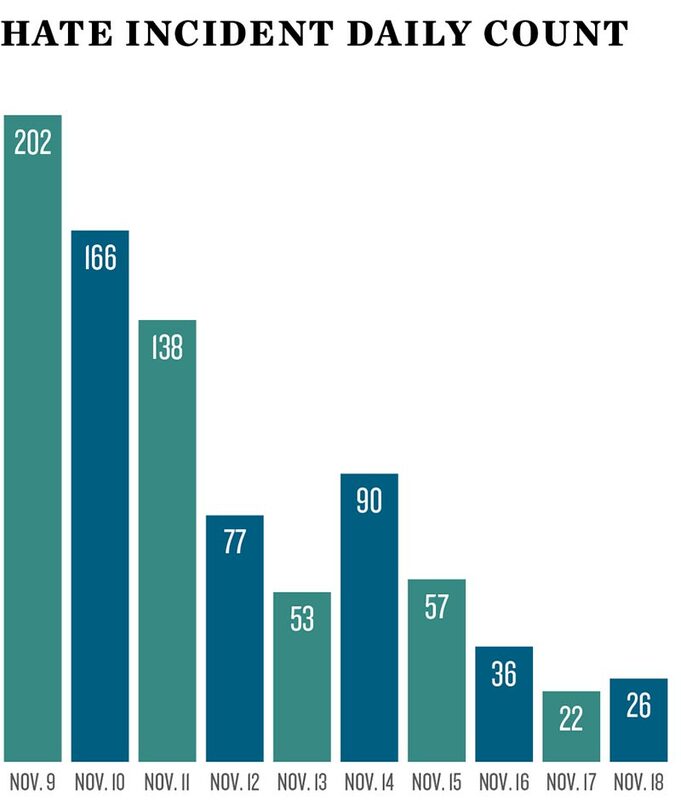 I would imagine that there was an increase in reported hate crimes, but in order to illustrate this, you would need to provide data from 10/8-Present or over a longer period. You state, "As the rate of incidents show, there was either a rise in incidents after Trump’s victory and Clinton’s loss, or an increase in the tendency to report incidents." But, if you present no data from prior to the election, you cannot make this claim. From the data you have presented, one could actually make the argument that hate crimes are falling since the election. Be more honest and get better data. I would imagine that there was an increase in reported hate crimes, but in order to illustrate this, you would need to provide data from 10/8-Present or over a longer period of time.